In our preceding article, we talked about how there can be no greater motivation for believers to live out their new lives in Christ as a BIG THANK YOU than to have a growing understanding of the grace of God. That is certainly the experience described in Scripture on more than one occasion. Remember the immoral woman who came to Jesus quite unexpectedly in the home of a Pharisee (Luke 7:36-50)? Braving probable scorn and ridicule, she came to express her love and gratitude for what she had experienced of the grace of God in her life—forgiveness. She was well aware of how undeserving she was but nevertheless God had forgiven her and for this she was supremely thankful. Rather than drawing back in disdain from this woman with the tarnished reputation, Jesus expressed what was at the heart of her outpouring of emotion: she loved much because she had been forgiven much. 700 years earlier, the prophet Isaiah only recognized the depths of his own sinfulness when he was made graphically aware of God’s holiness. Then, in response to God’s cleansing, Isaiah was eager to live out the rest of his life in obedience to God (Isaiah 6:3-8). It was that same comprehension that, years later, was the compelling motivation in Paul’s life. Though he viewed himself as the worst of sinners (1 Timothy 1:15), Paul felt a tremendous sense of indebtedness because of the grace of God he had experienced in his own life. Our comprehension of God’s grace in our lives is the primary motivation in our service for God. Our sense of indebtedness and gratitude to God for the undeserved mercy and grace he shown to us is in direct relationship with our consciousness of how needy a people we are. The measure to which we comprehend the scope of God’s grace in our lives is the measure to which we will live our lives for God. The more we grow to love God, the more we will want to obey him. Furthermore, the more special a relationship, the more we want to get to know someone. That’s the nature of friendships, of marriage relationships and that ought also be true of our relationship with God. In salvation, a person’s relationship changes from God being a stranger to that of being his child, his friend. And now God wants that relationship to grow, mature and blossom in an ever deeper and richer sense. God wants us to know him experientially. That ought to be the goal, the motivation and the focus of our daily lives. Notice that the yearning of Paul’s heart is to know God as a living reality in his daily experience—not simply as a mental assent. The same ought also be true of us as believers. 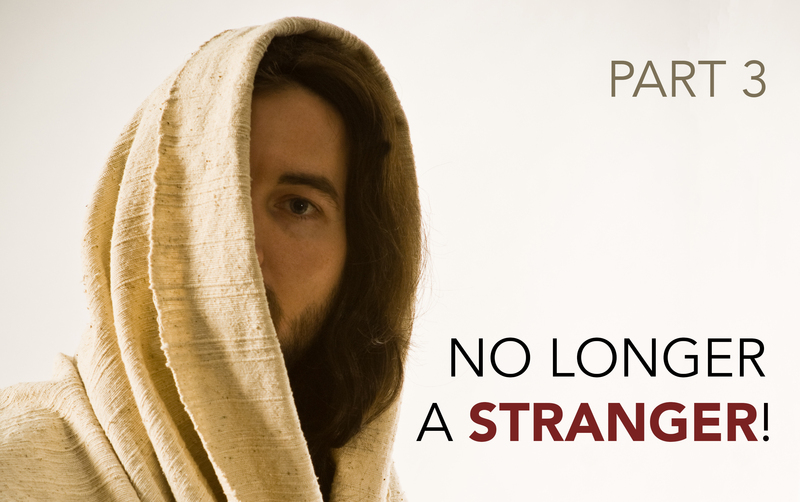 When we come to faith in Christ, God is no longer is a stranger to us. Rather, we have a new relationship. We are now children of God—friends! As such, there ought to be a natural desire to know our heavenly God better as an on-going, life-long process. As we do so, our growing understanding and appreciation of who God is and what he is like—his character and nature—will make a genuine difference in how we live out our lives as his children. Consider what it ought to mean in our lives as we get to know God better and—as in any friendship—we want to please him. When tempted to trivialize and play with sin, it is important to remember that God is holy and does not tolerate sin. Sin has serious consequences: breaking the child of God’s fellowship with his or her heavenly Father. A growing consciousness of God’s holiness ought to cause us to draw back in horror from the thought of allowing sin to be part of our lives. When we have failed repeatedly and we feel that God can’t forgive us, we must hold on to the unshakeable fact of who God is—a gracious God who forgives. This doesn’t mean that God overlooks or minimizes the sinfulness of our sin. Sin still has its awful consequences. That is only right and just. But God in his love and mercy has provided an answer for our sin problem on the cross. When faced with having to make decisions in the midst of all of the complexities of choices in life, we can rest in the confidence that our God is all-wise and that, as our loving heavenly Father, he plans the very best for us. When we feel alone and overwhelmed by life’s circumstances, remember that part of God’s intrinsic nature is love. He cares for us and is concerned about our every need to a far greater degree than we can possibly imagine or hope for. Remember, God has already provided for our greatest need—our need for salvation! When we experience failure and perhaps betrayal in friendships, marriage, business relationships, etc., we can draw comfort and courage from the reminder that God is supremely faithful. He is completely trustworthy. He will never fail us. When bewildered by the inexplicable tragedies that unfold around us on every hand, we can be confident that God is good and just. We can be assured that whatever God does will be right. In the broader context of our lives as believers, we recognize that there is so much more that God needs—and wants—to do in our lives as he works to transform us more and more into the likeness of his Son, Jesus Christ (Romans 8:29; 12:20). In the midst of all of the challenges of daily living, from day to day, we often don’t recognize the change that God is bringing about in our lives. But, God is faithful and he has promised to complete what he has started when we became his children. In the meantime, as we are reminded of all that God has already done for, let us continue to press on in life, motivated by his grace, trusting him to continue work in our lives, remolding and remaking us according to perfect will. Read No Longer a Stranger! Part One. Read No Longer a Stranger! Part Two. Going Deeper series: Each of GoodSeed’s tools is written to provide readers with a foundational overview of the Bible’s core message so they may clearly understand the gospel. We do this by presenting key stories from creation through the Cross. GoodSeed doesn’t attempt to be exhaustive in our approach nor is that our goal. There is too much that could be said about life, death and life after death. Likewise, we don’t want the reader to get sidetracked from learning the Bible’s primary message regarding salvation—perhaps for the first time. However, we also recognize that the Bible is a rich spiritual treasure trove, deserving of a lifetime of study and consideration. With that in mind, each month the Going Deeper series is going to examine some nuggets to encourage your heart, enlighten your mind and motivate you to dig further into God’s Word yourself!